Both of my TLC Extreme Couponing shows were shot at Glazier’s. TLC Extreme Couponing All Stars was filed at Glazier’s including the finale. Coupons AND sale items — continue reading…. Continue reading for coupon match-ups…. Snyders Chocolate Covered Pretzel Dips Buy one get one Free. 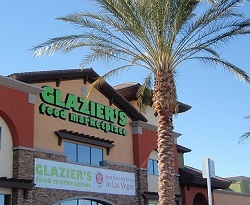 Glazier’s of Las Vegas was voted “Best Grocery Store in Vegas” 2010 and 2011 ~ Both of my TLC Extreme Couponing shows were shot at Glazier’s. Watch TLCs finale of Extreme Couponing All Stars that airs on 1/24 – it was filmed at Glazier’s!